As promised in the last issue, here is an update of our work on Mountain Hares. The subject came up in discussions with Adam Watson, who has observed the severe decline on grouse moors over many years. He had recently been in contact with SNH, asking what they had done and were going to do about this. As noted in the editorial, most people believe that what is happening is in contravention of the EC Habitats Directive. After several unhelpful replies, Adam decided to look for another route to apply pressure on SNH to do something. We decided that with Adam supplying the scientific data, NEMT could usefully have another go at corresponding with SNH and sent the following letter to SNH. The North East Mountain Trust (NEMT) is writing to you with reference to your letter, dated 14th March 2014, to Dr Adam Watson concerning his complaint regarding conservation and management of mountain hares. As you will recall, Dr Watson decided not to continue correspondence with you representing SNH on the subject, but he has since cooperated with your Prof Des Thompson on the topic of possibly copying his study area maps for future fieldwork led by SNH. Dr Watson, a founder member and Life Member of NEMT, passed on copies of all of his correspondence with SNH and others and his working notes to the Trust. Within the Trust, we believe that this issue is very urgent. Our members report continuing examples of slaughter and resultant scarcity of mountain hare by, presumably, gamekeepers on grouse moors. Like Dr Watson, we in the Trust, believe that the ongoing extirpation of mountain hare on some grouse moors is in contravention of the EU Habitats Directive, Articles 14 and 15. We note that this topic has been the subject of a previous complaint to the EU and believe that the time has come to start taking serious action. NEMT does not want to raise a second complaint to the EU and would far prefer to persuade SNH to take prompter and more decisive action. In your reply to Dr Watson, you state that you are aware of a wealth of anecdotal information suggesting that mountain hare are being excessively culled on grouse moors. We will assume that you have seen numbers of photographs of piles of hares left to rot. However, to remind us all of what we are discussing, I have included some graphic examples in Attachment 1 to this letter. The matter has been the subject of Scottish parliamentary questions raised by Alison Johnstone MSP and also featured in numerous newspaper articles and letters. If there is any doubt as to the growing strength of public feeling about this matter, please let us know and we can supply further information, although your own people should have kept you well informed on the newspaper and other media coverage. You explain that you are trying to derive a scientifically robust way for counting mountain hares. We are disappointed that you consider trials of dung counts during 2014  2017 to be an adequate response. Given the urgency of the situation, we would be interested to know why you consider that there is a need to depart from previous successful methods. In his reply, Dr Watson points out that dung counts are a wholly inappropriate method for open land. A summary of previous counts of mountain hares carried out successfully as part of the then Dr Des Thompson's Montane Plateau Ecology Project is given in Attachment 2 to this letter. The method was based on scanning with binoculars from vantage points, one of the methods found useful by Dr Watson in his own fieldwork on hare numbers. As a further incentive to take prompter action, we include on the attached CD, details of mountain hare numbers on graphs supplied by Dr Watson. You will not have seen most of these before, because Dr Watson's book contains only examples from four study areas, but the trends can be no surprise. We believe that the count data have sufficient supporting information, but can supply further details if needed to prove the scientific basis of the data. (Please note that Dr Watson would be happy to supply map copies of his study area boundaries, but only if you commit to using the maps for counts within the next year.) You state in your reply to him that there is a lack of quantitative data. These high-quality quantitative data supplied by a recognised expert should address that point. In order to get a feel for the data, SNH could check for yourselves several moors with severe killing, such as Invercauld, Dinnet, Tillypronie, Candacraig, Allargue, Crown Estate Strathavon and Glen Livet, Millden, Gannochy, Revack (south end of Cromdale Hills), Glen Buchat, Corrybrough , Castle Grant, Cawdor, Moy, Lochindorb, Bolfracks. In contrast, we know that they are not persecuted on Coignafearn and still abound there. They are not persecuted on the Convals at Dufftown, but this is a small area and may have suffered from persecution on nearby estates. Such visits should include looking for fresh dung and whether there are fresh forms in use, with compacted bare earth on the bottom and not grass, as well as looking for any live or dead hares present. We further suggest that you contact Scott Newey of the James Hutton Institute, who we expect will confirm that hares are so scarce that he has had difficulty finding areas where he can study a reasonable-sized sample. We would also like to clarify our opposition to any attempts to repeat the sort of work carried out for Commissioned Report No.278. We consider that the concept of a questionnaire administered by the GWCT and involving estate owners, factors and gamekeepers is fundamentally flawed. It is, to paraphrase a recent quote on Parliamentary standards, like asking them to mark their own homework. This is the very group of people who both claim that there is no problem with raptor poisoning on grouse moors and has everything to gain from distorting its reports. It clearly cannot be relied upon to provide impartial evidence. In a similar vein, you refer to the need to involve as many people as possible across various areas. This then leads to the proposal to use gamekeepers. We do not see any logic here as gamekeepers represent a very small proportion of the population. However, as noted above, we consider this to be fundamentally flawed. These are the very people who are carrying out the extirpation. Finally, you note that you have a requirement under Article 17 of the EU Habitats Directive to report on the overall status of mountain hare. We are specifically concerned about Articles 14 and 15. It may be that SNH needs to address two issues. Obligations under one article should not be allowed to cloud obligations under another. We believe that the only appropriate action, given the declines shown in the data is to move to enhanced legal protection via Schedule 5 of the 1981 Wildlife and Countryside Act as referred to in your reply to Dr Watson. I and George Allan (Vice-chairman of NEMT) would like to meet with you to discuss the above points and find out what we can do to encourage you to consider this matter more urgently. We are not ecological experts, but have a good grasp of the principles at stake here and represent a substantial number of concerned hill-walkers and climbers in North East Scotland. The letter refers to an attached CD, which contains data from hare counts conducted by Adam Watson over the last fifty years. An example of this comprehensive data set from 63 study areas is shown below to give the reader a flavour of what the data show. The diagram also appears in Adams book Mammals in north-east Highlands (see review in last issue of Mountain Views). George Allan and I attended a meeting with SNH to discuss the points made in our letter on the 24th July. To be fair to SNH, this long gap was not of their choosing but due to my availability. 1) On 27th March, the Scientific Advisory Committee agreed to convene a SAC sub-group to assess the current evidence on sustainable moorland management and to advise on further work needed. This work is due to start in September and complete by the end of the year. 2) A proposed research programme starting this autumn and running for three years to study different methods of counting hares and arrive at population density estimates on ten different study areas. We referred to Adams comments on the usefulness of this. A likely contender for this work is Scott Newey of the James Hutton Institute (JHI) in partnership with the Game & Wildlife Conservation Trust (GWCT). SNH consider that such work is necessary before an approach could be made to the Minister to give hares improved protection under the Wildlife & Countryside Act. We discussed both activities. We see the first one as a useful step forward and in a useful time scale. If the SAC sub-group agree with the evidence then this could add very useful weight to the argument. NEMT could help here by facilitating the release of the Adams hares data to the committee. This data makes a convincing case for taking action. If the sub-group recommend strong action, this would be a very useful step forward. NEMT could also compile a list of anecdotal members complaints together with accompanying photographs. There is no doubt that some of the photographs submitted are very powerful. SNH suggested that we also send the photographs to the local police wildlife crime officer as they clearly show illegal activity, which we will do. The second activity is more problematical. 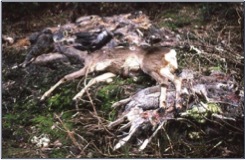 It effectively puts the problem off for three years, by which time will there be any hares left on any grouse moors? An important aspect is the proposed comparison between intensive grouse moors and estates where hares are not persecuted, which is likely to be a useful step forward. Secondly, the involvement of the GWCT is likely to introduce bias. We propose to investigate via Adam how likely this joint work is to produce useful results. There might be the basis for a complaint to the EU on the use of clearly biased people on such work. Again, Adams data could form very useful input to this work. Try to get more members to approach their MSPs to ask parliamentary questions to raise the profile of the issue in the Ministers mind. Given the seriousness of the situation, to consider pressing SNH via political channels to pursue the possibility of an immediate extension of the close season to last until the research produces results. SNH have sent us links for the SAC sub-group and have started a dialogue to outline how Adams data could usefully be used (and not disappear into a black hole). I have since met with some previous complainants, who wish to remain anonymous as they deal with gamekeepers on an ongoing basis and are worried that publishing their names might adversely prejudice these relationships. It is, of course, a sad reflection that what should be a good relationship between the public and the stewards of the land has become adversarial, beset with mutual suspicion. However, based on their advice, I have sent the following letter to Ian Hudghton, MEP. I am writing to you, as my local MEP, on behalf of the North East Mountain Trust (NEMT). NEMT represents hill walkers, climbers and other groups of people who visit and enjoy Scotlands mountain land. Individual and club membership totals around 800 people. NEMT aims to protect wild land in Scotland from inappropriate developments for all who enjoy visiting such places. NEMT has a particular commitment to the greater Cairngorms area but maintains an interest in Scotland as a whole on behalf of its members. This letter is to enlist your help in stopping the illegal slaughter of mountain hares on certain grouse moor estates. 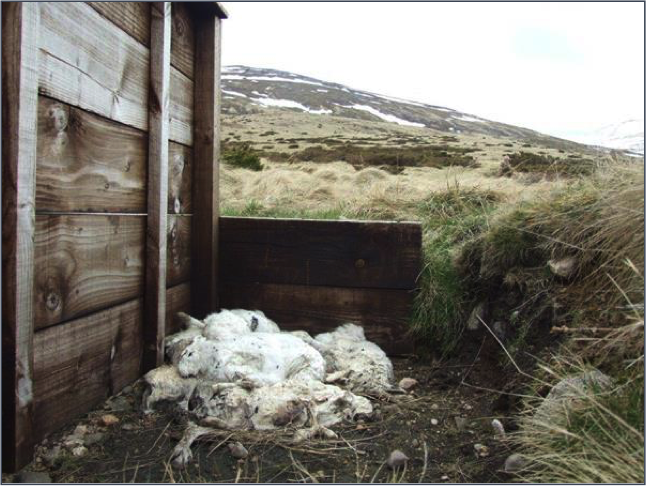 We believe that this is in contravention of the EC Habitats Directive and that Scottish Natural Heritage (SNH) is doing too little, too late to save mountain hares from local extermination. They are trapped and shot by gamekeepers because they carry ticks, primary carriers for the Louping Ill virus, which kills red grouse chicks. 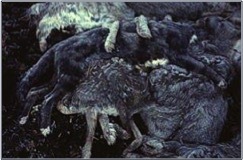 Unfortunately, the gamekeepers are under pressure from the moor owners and shoot them to extermination. There is no attempt to leave a balanced, sustainable population. We have taken this matter up with SNH and have sent them new evidence provided by Dr. Adam Watson, a well-respected local research ecologist. This scientific data shows major declines in mountain hare populations on managed grouse moors. SNH are proposing to do two things; convene a sub-group of the Scientific Advisory Committee to review sustainable moorland management and to also commission a three year monitoring study on mountain hare populations. The first is a useful course of action, which we support, whereas the second is likely to be flawed due to the proposed use of gamekeepers and will be too late. Evidence presented to you earlier, see para below, shows that once populations have been excessively reduced, they do not recover. In our view, SNH is failing to grasp the urgency of the situation. I have been in touch with Neil Macdonald of Perth, who wrote to you on 19/1/06 concerning this issue. At the time, you forwarded his letter on to the then Environment Commissioner, Stavros Dimas, who contacted SNH. They claimed that the species was at "favourable" status, although it is now clear that they had no current evidence for such a claim. They admit that, as they had no new evidence, they simply based their assessment on old flawed evidence. I would now like to raise the matter again. Since 2006, gamekeepers on certain grouse moors have continued to slaughter mountain hares and the areas where they have disappeared have continued to grow. I ask you to forward this letter to the current Environment Commissioner and ask them to investigate, requiring SNH to produce current evidence that the species is still at "favourable" status. We would be pleased to supply Dr. Adam Watsons scientific data to any interested parties in the EC, if this would help. I and our members are not alone in our concerns, and refer you to newspaper articles in the Sunday Herald on 10/11/13 and the Times on 11/11/13 and also the extensive correspondence in both the Aberdeen Press and Journal on 13/9/10, 20/12/13, 24/12/13, 7/1/14 and 17/2/14 and the Scotsman on 15/1/11, 30/1/11, 28/11/11, 23/12/13 and 24/12/13. We believe that this wealth of anecdotal evidence requires SNH to take firm precautionary action. A major and fundamental flaw in SNHs approach is, in our view, the use of gamekeepers in surveying mountain hare populations. This is the very group of people who claim that there is no problem with raptor poisoning on grouse moors despite the widespread evidence that the culprits are certain gamekeepers themselves. This group of people clearly cannot be relied upon to provide impartial evidence. To paraphrase a recent quote on parliamentary standards, it is like "asking them to mark their own homework". We have asked SNH to move to enhanced protection via Schedule 5 of the 1981 Wildlife and Countryside Act and seek your support via the EC in moving this forward. In the first place, if you require additional information to take up our cause then we would be pleased to supply it. I hope to have some positive news for the next issue.